Marika uses a variety of manual therapy techniques which are non-invasive, hands-on and effective. 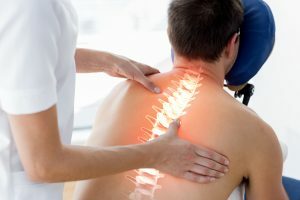 These techniques focus on balancing and improving the balance of the musculoskeletal system and include muscle-energy techniques, trigger point therapy, counterstrain, spinal mobilisation and manipulation, the McKenzie method and manual traction. Physiotherapists are specifically trained to detect and correct problems in the spine, often before the patient is even aware they exist. More often than not, when we tell someone that we are a physiotherapy clinic, they immediately associate our vocation with neck and/or back pain. What many do not realise, however, is that physiotherapy is a health care modality that provides significantly more than just a solution for pain. Physiotherapy is a lifestyle that involves all aspects of wellness, including exercise, nutrition, personal development, stress relief and self-care. We have been fortunate to work with people from all walks of life (including children, adolescents, adults and the elderly) with outcomes that speak for themselves.